For those with furry companions, the comfort of their live-in buddies is of utmost importance. If your furry buddy is not at a doggie daycare while you work, leaving him home alone all day may not always be the best option. Make a call on how you will handle your pet depending on his personality. If he’s a laid back home body who likes to laze around the home all day, let him be. If he’s a little rambunctious and tends to tear up the furnishings or chew up shoes when he gets bored, then the best option is to allow him to be free in a sizeable and secure yard. 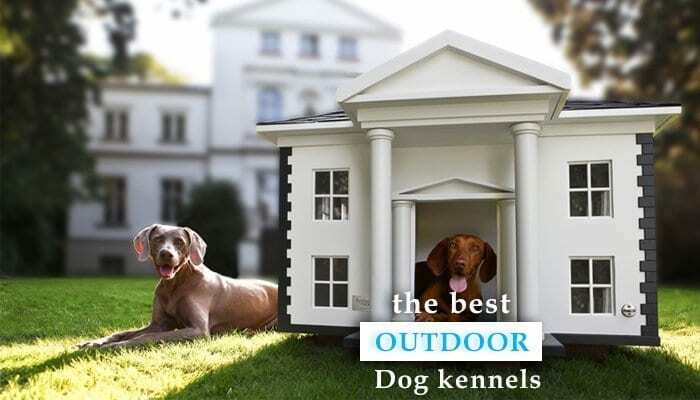 If your yard is not too secure, you could consider having a suitable outdoor kennel. Here are a few tips on how to choose the right outdoor kennel for your furry buddy. The first thing to consider while choosing a dog kennel is the size of your dog. You do need to consider how big your precious pup will be when he’s fully grown, so ensure that you check with the local pet supplies store on kennel sizes for your breed of dog. Keep in mind that the size of mixed breed dogs can vary. Sometimes they can turn out much bigger than you expected. Besides the size of the kennel itself, if you have a small yard and a big dog, or more than one dog, you do have to ensure that he gets enough exercise. It’s ok for a small dog to be limited to a small space during the day and then let out to play for just a bit when you return from work. But a larger dog will need a large enough space to move around and play as he wishes throughout the day. This is why it a good idea to get not only an outdoor kennel, but also an attached dog run. Depending on the size and strength of your buddy, the kennel and the fencing may be constructed from plastic, wire caging with a metal tray, wood, or chain link made from commercial grade steel. Whatever material is chosen, ensure that your buddy is comfortable and protected from pests and other dogs. Also make sure he can’t jump out in case he has a sudden urge to go on an adventure, chasing the next door cat or a raccoon. Having a kennel that’s easy to clean is a real bonus. A dirty kennel can be unhealthy for both you and your furry buddy. A kennel with removable, easy to clean flooring should be a good pick for a pet owner that’s working and away most of the day. Daily cleaning must be followed along with a routine weekend wash. Food should also not be left in the kennel all day, since this will attract quite a number of pests including rodents. Having a kennel that can connect to a running water source is a great feature for any dog, since this is one of the best ways to keep him hydrated all day long. The kennel you choose must have an area that’s weather proof all year round (be it rain, cold, or heat). Since outdoor kennels are meant to be long lasting, you don’t want to have to take it down just because of extremes in weather. This is why the sheltered portion of the kennel needs to be made from sturdy wood, metal, or good quality plastic. Some pet owners have also added air conditioning and internal heating for the comfort of their furry pals.